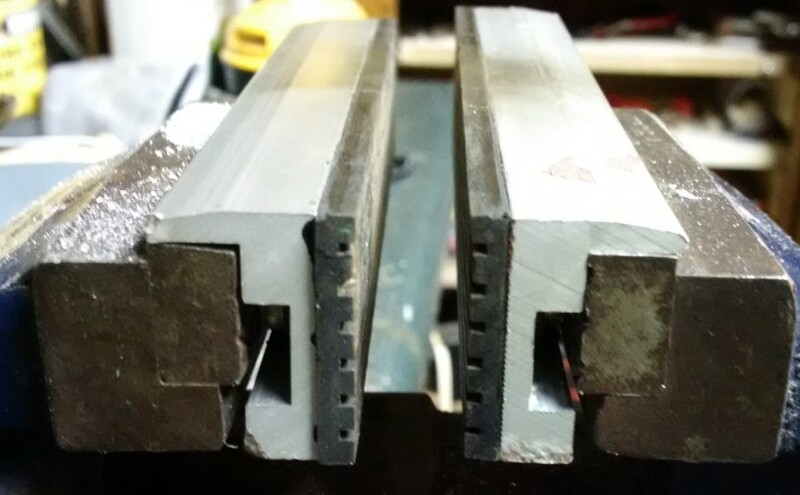 I have some soft jaws with rubber faces for my bench vise. They are great for holding more delicate things still while working on them. The problem is that the magnets on the back are very weak, so the jaws don’t stay in place as you are adjusting stuff against them. I didn’t realize just how weak the magnets were until one fell out the other day. I don’t know if it could hold up 5 pieces of paper to my fridge. So, since it had fallen out anyway I instead hot-glued in some 1/4″ neodymium magnets. What a difference! I think it will work much better this way, and I could always add a few more power magnets if this isn’t strong enough.